Many members of the younger generations are of the opinion US Social Security and the Canada Pension Plan and Old Age Security will not be around by the time they are eligible to collect. I am confident they will be around even though there are some minor imbalances. Even if these imbalances are not fixed, I am reasonably certain recipients will receive at least 75% of the promised benefits. My concern is not with the government pension plans but rather that the conventional ‘defined benefit’ pension plans previous generations took for granted are going the way of the dodo bird. The low interest rate environment over the past several years has resulted in many defined benefit pension plans incurring sizable shortfalls. With each passing annual actuarial analysis, employers have had to shore up these shortfalls. Ultimately, many employers have decided that enough is enough and the terms and conditions of their defined pension plans have either been dramatically modified or these pension plans have been replaced with ‘defined contribution’ pension plans. In the case of defined benefit pension plans, pensioners know in advance what they can expect to receive in retirement. There are, however, no assurances as to future pension distributions in the case of defined contribution pension plans; pension payments depend on the performance of the investments within the pension plans. Given these changes, the younger (and future) generations will face the predicament that a successful retirement is unlikely unless they take control of their spending, saving, and investing. First and foremost, it is imperative to always max out your employer match on your RRSP, 401(k), 403, or other defined contribution retirement plan, since the “return” on this money is usually 50% - 100%; this exceeds the worst credit card interest rate. Next on the list of things to do (before you even start investing), is to rid yourself of debt. In all probability, long-term investment returns on retirement savings will be around 5% - 6%. Since these returns will likely be lower than most (if not all) loan rates, paying off all credit cards, student loans, payday loans, consumer loans, vehicle leases, balances owing on lines of credit, etc. should be a priority. It really makes very little sense to set aside money for savings and investing with the hope of achieving a reasonable return if there is expensive debt that must be repaid. Note: the 5% - 6% returns do not factor inflation. If inflation is 2%, the real rate of return is only 3% - 4%. Once you rid yourself of debt, invest a predetermined percentage of your income. Some members of the financial community recommend 10% - 15%. I recommend no less than 15% of net annual income. Keep in mind that 15% is on the assumption you start saving and investing in your mid-20s and you intend to retire in your mid-60s. If you start saving and investing later in life and/or want to retire sooner than in your mid-60s, you had better ratchet up your savings rate to at least 20% of your net income! The later you start the saving and investing process, the greater the challenge. Each will grow at different rates, and therefore, some investors may wish to rebalance their holdings at least annually so the allocation is restored to one-third in each category. I, however, would be reluctant to rebalance once a year when the investments are held in taxable accounts as the sale of investments could potentially trigger a significant tax obligation. In my case, I invest in individual companies and I do not purchase ETFs or mutual funds. In the 30+ years I have invested in individual equities I have never rebalanced my holdings. Some investments have certainly outperformed others but my personal preference has been to let my winners ride and this has served me extremely well. The concept of investing no less than 15% of net annual income is a relatively easy concept to grasp. The challenge, however, is similar to telling someone to always eat healthy, to refrain from smoking, to consume alcohol in moderation, and to exercise properly more frequently. You guessed it. If it were easy, then why are so many people in poor physical health? The reason is because it is far easier to lead a sedentary lifestyle, to eat things that taste good but which have no nutritional value, and to form habits which are detrimental to your health. Both taking care of your health and investing are simple. Neither, however, is easy! Obstacles will be encountered which will impact the best laid plans pertaining to saving and investing. In order to succeed, the following 5 obstacles must be avoided or overcome. In my ‘Enhancing Personal Free Cash Flow for Investment Purposes’ article I laid out some alarming statistics with respect to the percentage of various age groups which think they will need to rely on government assistance during retirement. A major reason for these alarming statistics is that many people just spend way too much on ‘stuff’. Because they learned their financial habits from adults who spend way too much on ‘stuff’. As the saying goes, ‘the apple does not fall far from the tree’. There are various reasons why people spend more than they should. One reason is to give the impression of financial success. They spend well in excess of what they can realistically afford for accommodation, vehicles, clothing, etc.. In addition, they indulge in habits that are costly and unhealthy (eg. excessive coffee consumption, frequently dining out, smoking, drinking, etc.). Some families also feel they deserve expensive vacations every year. Frankly, it is none of my business how people spend their money. I just wish, however, that people wouldn’t gripe how they always seem to be broke. Recently, I was speaking with someone at the gym I frequent daily. This person complained that his/his wife’s combined annual gross income was in excess of CDN$250,000 yet they habitually encountered more month than money. They do, however, have a very nice house, three expensive cars in their driveway, and they take a couple of expensive two week vacations every year. I recognize it might be extremely difficult to give up such a cozy lifestyle. When you’re living high on the hog, however, you end up in a position where your life is akin to running on a treadmill that is accelerating even though you did not adjust the speed of the treadmill; the treadmill malfunctioned and is accelerating on its own. One of the risks of having poor personal free cash flow is that, unlike previous generations, permanent full-time employment with the same employer for the duration of your career is rare. Now, it is not uncommon to work for several employers during your career. In addition, many are forced to reinvent themselves and to change careers. It is also not unheard of to be unemployed several months before alternate employment is found. In some cases, when employment is eventually found the level of compensation may be less than that to which the individual was accustomed. If cash outflows are very similar to cash inflows and the cash inflow component of the equation is interrupted, it may be possible to curtail/eliminate variable expenses. A far too common problem, however, is that families have taken on fixed costs that consume too much of their net income. It is far more difficult to adjust a budget if the cash outflows consist primarily of mortgage payments, utilities, vehicle payments, etc. I strongly recommend everyone have an adequate understanding of what finance is all about. This does not require a CPA, CFA, or MBA designation. Many readers’ eyes will glaze over if learning about finance and investing entails the need to read university textbooks. Because of this, the following is a list of great books which will help the neophyte get a basic understanding of personal finance and investing. Learn the basics of financial and market history. A new investor is often confused by market turbulence and the economic crises which cause the turbulence. This is because they do not realize there is nothing new in the world of investing. If you do not recognize the investment landscape you will be scared, confused, and befuddled. Reading about financial and market history will give you a better perspective on the world of investing and will provide you with some reassurance the world did not come to an end when stuff previously happened. The financial industry is rife with ‘financial professionals’ whose main goal is to transfer your wealth to them. I am not implying that all stock brokers or financial advisors are this way. There are several who are worth their weight in gold. The problem is the percentage of brokers and advisors who are less than skilled professionals is likely far greater than the percentage who are highly skilled. In case you are not aware, stock brokers have no ‘fiduciary duty’. This means they have no obligation to put their clients’ interests above their own. As a result, there is very limited legal protection from a broker’s incompetence unless there is outright fraud or there was the sale of an outrageously unsuitable investment. If you think you can make a case against a stock broker by going through the firm’s ombudsman, guess again! Never lose sight that every dollar in fees and expenses paid to the stock broker or financial advisor comes directly from your pocket. If you own mutual funds, I certainly hope you know you are often being charged far more in mutual fund fees than the ‘expense ratio’ listed on the prospectus or annual report. There are also ‘transactional costs’ which are adverse price changes that result from moving around millions of shares, much of which accrues indirectly to the fund company. If your stock broker is wining and dining you, taking you to hockey/baseball games, or taking you to a Berkshire Hathaway Annual General meeting, look in the mirror to see who is ultimately footing the bill. If you are interested in reading a sad tale of what can happen when you place your trust in a ‘financial advisor’ you may wish to read Using Financial Advisors: A Cautionary Tale which is a guest post I wrote in January 2018. Personally, I avoid stock brokers and manage all our investments through self-directed accounts. In many cases we are our own worst enemy. Over hundreds of thousands of years we have evolved to think about risk as a short-term phenomenon. We are not wired to manage long-term risks. As a result, most people do not think about financial risk over its proper time horizon, which should be several decades. More on this can be found in my Invest With a Long-Term Outlook article. Investors must be prepared to lose large amounts of money in the stock market, but market swoons are usually short-term events. The real risk investors must face is the failure to maintain strict long-term discipline in saving and investing. By way of example, suppose a couple has a combined annual net income of $100,000. This couple is in their early 30s and they would like to retire in their early 60s. They have determined they need to save 15% a year ($15,000/year or $1,250/month). If inflation is 2% they will need to save/invest $15,300 in year 2. If inflation remains at 2% in year 3 they will need to save $15,606. Presumably their net income will increase annually but if it does not, they still need to come up with $15,300 in year 2 and $15,606 in year 3. Failure to take into consideration inflation in the equation could result in them still saving $15,000 in year 10. We all know that $15,000 ten years from now is not the same as $15,000 today. We are our own worst enemy. Know your risk tolerance level and be prepared not to panic if markets experience corrections. 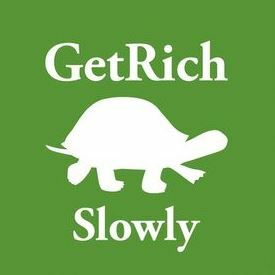 Getting rich slowly sounds simple but it is not. If it were as easy as it sounds then there would be far more people who would be financially comfortable. If you truly have a strong desire to be financially free I strongly encourage you to read/re-read the books reflected under Obstacle #2 within this article. Doing so will certainly go a long way in helping you on your journey to financial freedom. If my investment philosophy meshes with your investment philosophy then becoming a member of the FFJ community might be of interest to you. In an effort to help you determine whether being a member of the FFJ community is something that would be of interest to you, I am pleased to offer 30 days' free access to all sections of my site. No commitments. No obligations. That's 30 days from the time you register at absolutely no cost to you!